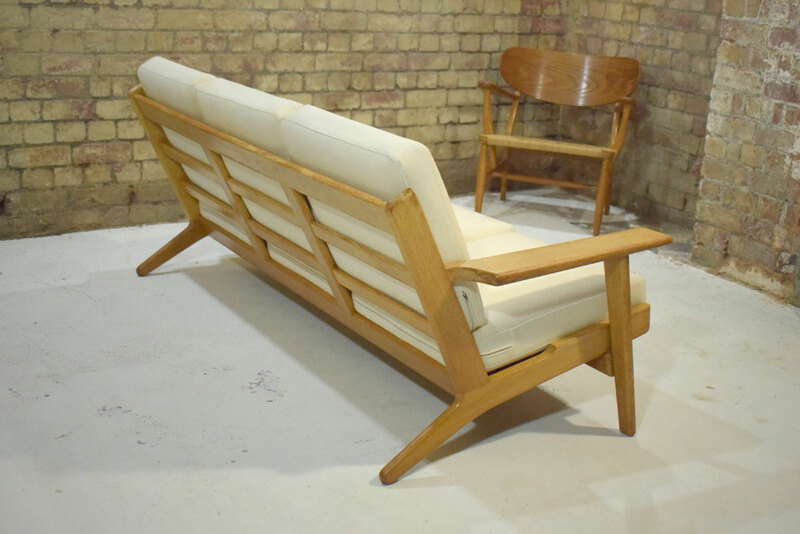 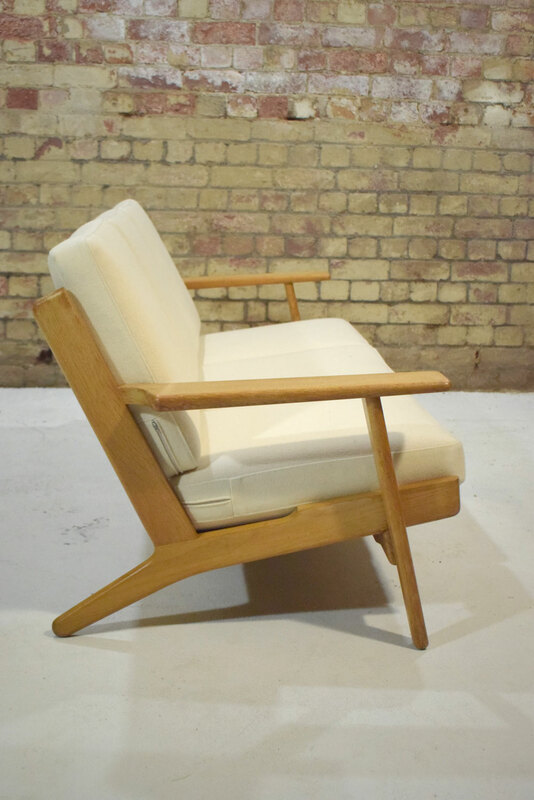 Hans Wegner 1952 design 3 seat sofa with plank armrests and natural oak frame. 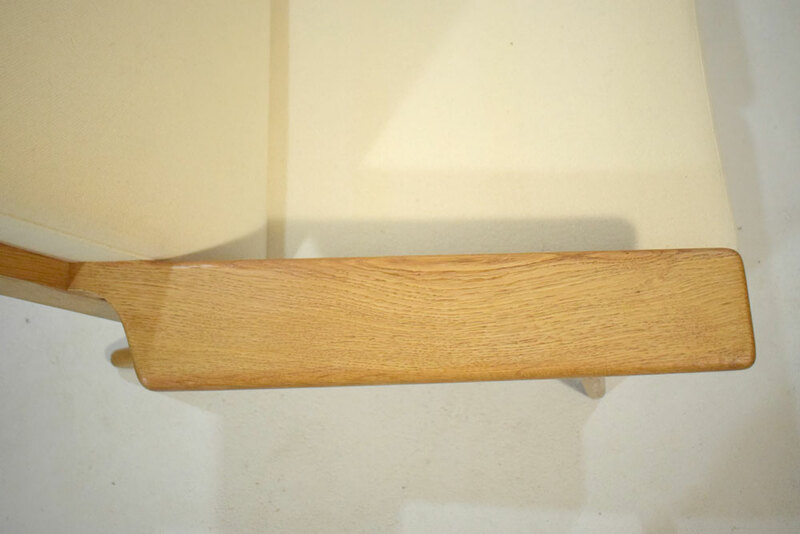 Model GE290. 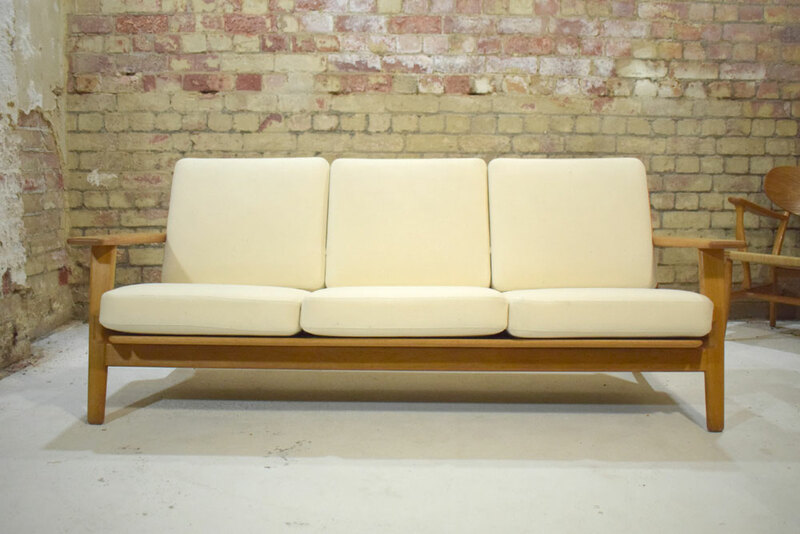 Very elegant and stylish oak framed sofa with wide plank armrests and cream coloured cushions. 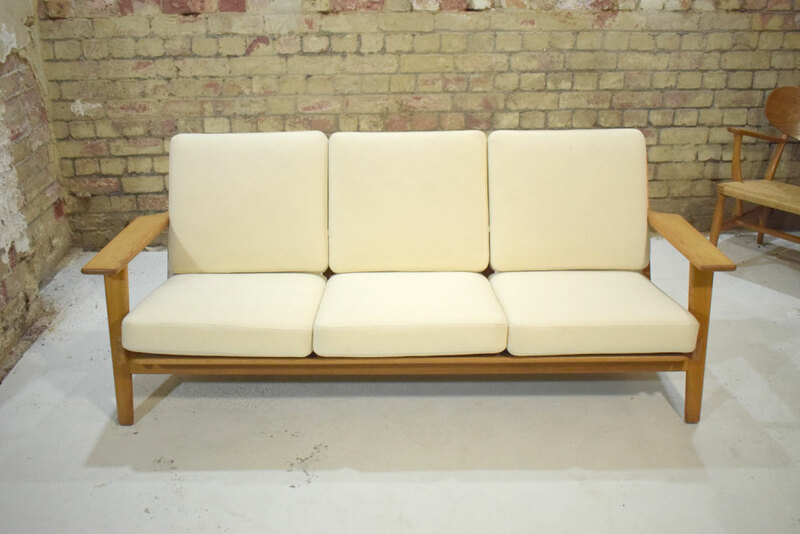 The cushions have been re-conditioned with new foam over the sprung inner so as to offer superb seating comfort. 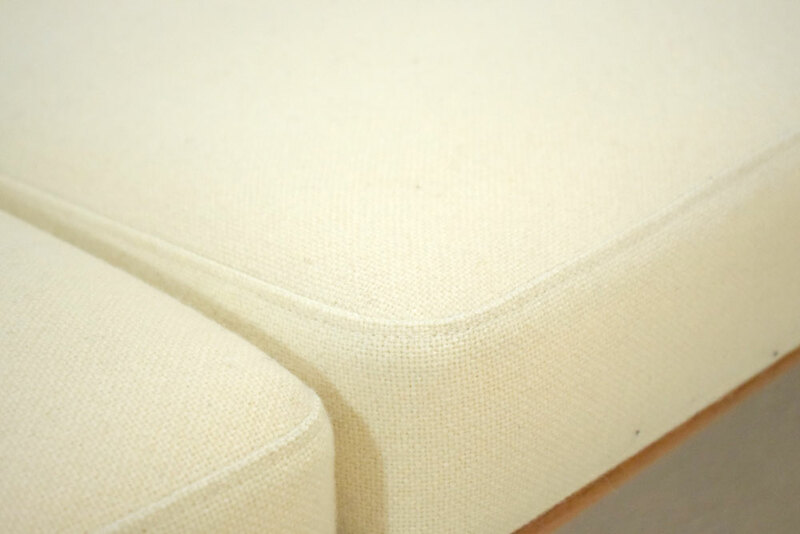 The cushions are loose on the frame and are upholstered in a cream fabric which can be used on both sides. 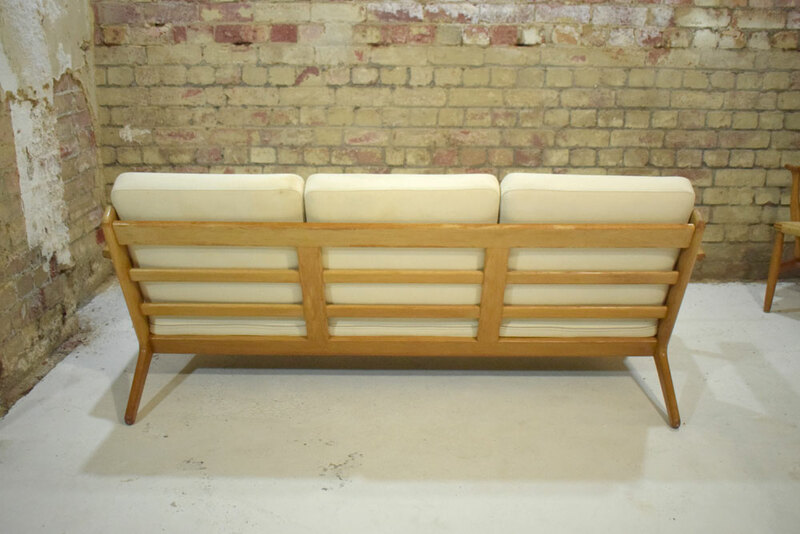 Condition: Very good condtion with wonderful original patina. 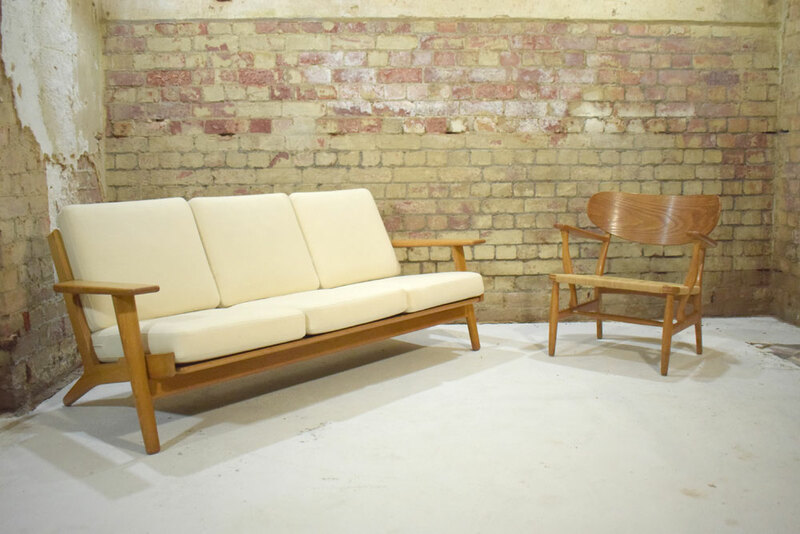 The fabric upholstery is showing some signs of use & age, but is still in good condtion. 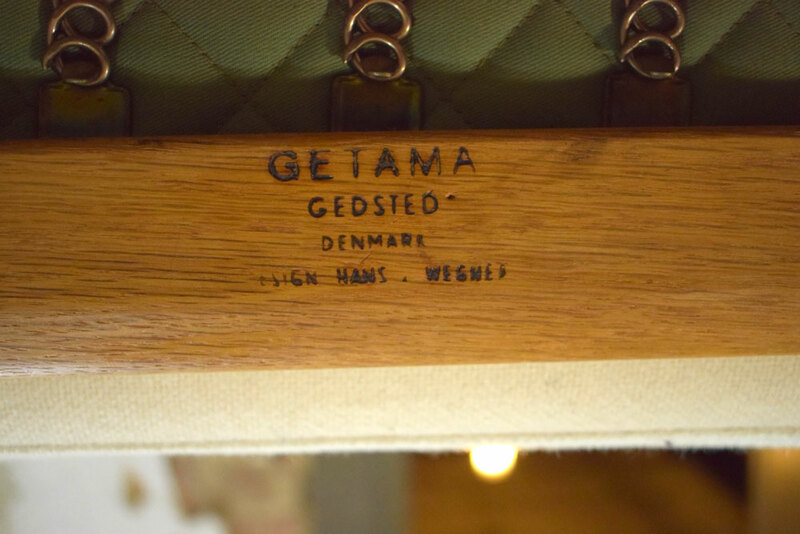 The oak frame is clearly marked with Getama and Hans J Wegner.